In addition to litigation, Adv. Sha’anan is a qualified mediator. She has recently expanded her practice to include collaborative divorce, and is member in good standing of an Israeli practice group, Divorcing Peacefully. Adv. Sha’anan is an occasional lecturer to diverse audiences in Israel and abroad, including members of the legal community, therapists, and social workers. 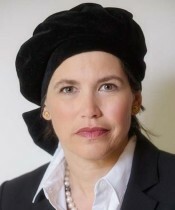 She blogs on families, law and life in Israel at: The Missing Peace. Adv. Sha’anan is a native of Canada, made her home in Israel in 1980. She is a graduate of Touro College in New York (1980), has a Master’s Degree in Criminology from the Hebrew University (1985) and an LL.B from Sha’arei Mishpat Law College (1997). Esther was admitted to the Israel Bar Association in 1998. Esther is a native English speaker and is also fluent in Hebrew.